Sophie Brinkmann was an unassuming single mother, almost lost within an uneventful life after being widowed. Except for her job and her son, there wasn't much left to tie her to the increasingly unfamiliar surroundings of Stockholm. Even her home was beginning to look out of place amongst better kept suburban houses. All that would change quickly enough when she meets Hector Guzman. He has a certain charm about him and the pair make an immediate connection. But Brinkmann isn't the only one taking an interest. Hector Guzman is the head of an international crime syndicate. Although his operation extends across Europe and into South America, the syndicate's territory is under siege. Guzman is under surveillance by a rogue division of the Swedish police. Another syndicate is working to lay claim to what the Guzman family had built over the years. And as the book moves forward, Brinkmann's old boyfriend takes an interest in him too. It doesn't take long before a parade of malcontent characters quickly spiral out of control and become almost daunting, with everyone looking to twist their fingers around the newest mark. Brinkmann's son, most agree, would make the perfect pawn if she could be won away from Guzman. And if she can't be won away, then perhaps she and her son might make the right better target. While it would be easy to say that this makes for a big and bold story out of Stockholm, the truth is that is takes some work to lock down the expansive cast and characters and layered plots threads. At times, the more appropriate descriptor slips from complex to convoluted, leaving behind a collection of beautifully penciled scenes with memorable characters. Part of it has to do with the way Alexander Söderberg backs into every character introduction, sometimes making it difficult to discern which one will play a bit role and which one is important. Söderberg tends to give them all equal weight and prods an urge to race ahead to find those characters who are more readily familiar — especially Brinkmann who is caught in the middle of it. When this technique is added to the tight, often terse writing, it becomes clear that Söderberg sometimes plants so many details from multiple points of view that any sense of mystery materializes out of technique and not the story. It might even be that as memorable as many vignettes make The Andalucian Friend, it's almost impossible to grasp the big picture early on in the novel. Söderberg does make up for it is in his portrayal of physically wounded, psychologically pressed, and morally deficient people. The volume of them all has a purpose too. Söderberg obviously plans from the beginning to close out his debut with a body count and the epic network of conflicting empires all crash down around each other. A few graphs about Alexander Söderberg as a new voice for thrillers. Although Söderberg was being propelled a bit by the recent successes of other Scandinavian authors, most comparisons that have been made along the way aren't necessarily valid. Söderberg has his own voice, especially in way it sometimes drifts with stream-of-consciousness details that resemble shot lists. It makes sense that he would write this way. 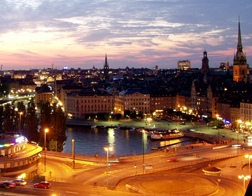 Söderberg worked as a television screenwriter for years before trying his hand at a novel. Interestingly enough, he never saw himself becoming a writer. Writing was just something he did for personal reasons, sometimes spending an entire evening at it. 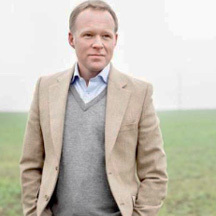 After Publisher’s Weekly dubbed it the "book of the fair" at the 2011 Frankfurt Book Fair, foreign rights to the book and the forthcoming trilogy sparked a frenzied auction. The event marked a real boon for Söderberg, but one wonders whether the real win here will be some future screenplays. The Andalucian Friend By Alexander Söderberg Hits 4.1 On The Liquid Hip Richter Scale. 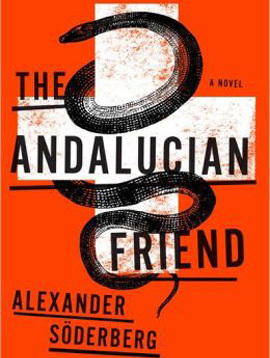 Expect The Andalucian Friend to be a mixed affair for many readers, with the story better than the telling, the characters better than the composition, and shot lists sharper than the structure. But make no mistake, the book really shines when it shines. The Andalucian Friend is emotionally dazzling at times and deliciously grisly at others, even if some parts are stronger than the sum of it. The Andalucian Friend: A Novel by Alexander Söderberg is available on Amazon. You can also find The Andalucian Friend at Barnes & Noble or download it for iBooks. The audiobook, narrated by Gildart Jackson, can be a bit of a challenge compared to the printed word. While Jackson reads the novel clearly enough, he doesn't have enough diversity in his pitch or tone to carry so many characters.